WOW! AGAIN!! We’re running out of things to say. Seriously. 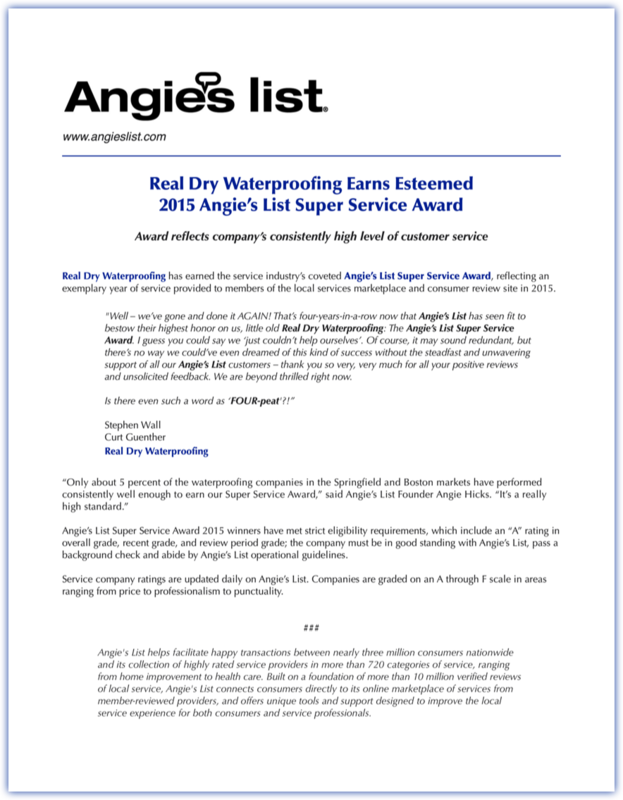 We never thought we could win a Super Service Award from Angie's List FOUR years in a row! Thanks one more time to ALL OF YOU who gave us positive reviews on Angie’s. It makes the entire crew at Real Dry feel like we’ve earned it.